Is plastic plumbing the way of the future? Or a nightmare best left well alone? Since it’s introduction, in the late 70s, it has had a chequered history, and that is being polite. There have been some spectacular failures where joints have blown apart, usually because they were incorrectly assembled, and in the USA, one form of plastic pipe, polybutylene, is subject to thousands of class action law suits and is no longer commercially available, although, curiously, it continues to be sold almost everywhere else, without causing any undue concern or long term problems. Plastic plumbing received a big boost in the late 90s when a number of new manufacturers entered the field and it started to become widely available from builder’s merchants and DIY stores. It’s also benefited from the uptake in underfloor heating systems which all have to be plumbed in plastic: underfloor heating (UFH) is seen as an upmarket product and so the cachet has rubbed off onto plastic pipe generally. But perhaps the single most important factor in explaining the gaining popularity of plastic pipe is the huge take-up of manufactured joists or I-beams as intermediate floors. Now when it comes to fitting pipework through an I-beam floor, it’s actually about fifteen times easier using flexible plastic pipe than it is using rigid copper — remember, I-beams cannot be notched at the top, the traditional route through floors for copper pipe. The NHBC technical literature doesn’t have a huge amount to say about plastic plumbing but they do raise occasional concerns. The first one is also a perennial question on the selfbuild forum. Does plastic plumbing require earthing? The answer is basically no, but it’s not quite as straightforward as that. What is clear is that, from the point of view of electric shocks, plastic plumbing makes a house a little bit safer as you reduce the risk of suffering a life-threatening shock. If some electrical appliance develops a fault and becomes ‘live’, the danger to someone touching it increases when they are making a good electrical connection with something else. Being naked in a wet bathroom makes you an A1 electrical contact. Now you won’t find any mention of ‘earthing’, let alone ‘supplementary bonding’ in the NHBC regulations, though there is some guidance in Part P of the E&W building regs. It’s a subject about which most housebuilders are blissfully ignorant: it’s just some safety routine that the electrician has to do for reasons that are pretty obscure. But the facts are that if you plumb in copper, you have to link the pipe systems together so that you can’t have hugely different voltages between them. If you plumb in plastic, even if you use copper tails on the exposed pipework, you don’t need to earth bond the pipes. Finally, what are the recommended fixing centres for plastic pipe supplying hot and cold water and central heating? Hot plastic pipes tend to sag. Does it matter? Not a great deal. The critical question involves running plastic pipes through joisted or I-beam floors: the word seems to be that floor beams 600mm apart — the standard distance — really don’t need additional support. But if the pipework is exposed, the supports should be more frequent. It’s becoming increasingly apparent that our national border is extremely porous. We have huge numbers of mostly young people heading to our shores from around the world to find work and fortune in our booming economy. The admission of Poland and other East European states to the EC has simply hastened and legitimised this movement. This week the government came close to admitting that it had very little control over the process and had no idea how many illegal immigrants there are in the country. Whether you view this process as a good or bad depends very much on where you live and what you do for a living. There remains a perception also that it’s liberal and right-on to allow unfettered immigration and crusty and conservative to oppose it. I am not going to get drawn into that debate here but I do think it’s time we looked at the consequences of having a rapidly rising population, for that is what is happening. When I was born, in 1953, Britain was still almost exclusively white. Aboriginal Anglo-Saxons and Celts. It was also the time that marked the beginning of immigration. All through my life, people from all cultures have been pitching up here on our shores. But their arrival was almost always balanced by an equal number emigrating, so the net population was little changed. Whatever your views on multiculturalism etc etc, there was no great pressure on resources. But now things have changed. It’s impossible to be precise about numbers but it seems quite likely that the national population may now be growing at between a quarter and half a million a year, entirely as a result of immigration. All these people need to be housed somewhere. This morning I was wondering just where they are all going? Are they all doubling up in bedsits? Or squeezing into shared houses, sleeping on floors or hot-bedding? In fact housing, or more particularly a lack of it, is one of the key factors dampening the flow of immigrants. House prices in SE England are the highest in Europe because the demand is the highest in Europe whilst the new supply is one of the lowest. The government, via the Barker report, has plans to increase the level of housing supply in SE England but the Barker report itself didn’t look at the effect of housing on immigration. It was working on an assumption that the overall population would stay pretty much where it has been for the past 30 years, at around 60 million. But what happens if it goes to 65 million or 70 million? There are already more Poles in the UK than there are in Warsaw. If we build another 250,000 homes, all within commuting distance of London, won’t they just fill up with more Poles? Maybe not, but it’s worth making this connection. The affordability issue that everyone goes on about won’t be solved by an increase in housing supply unless the national population remains largely static. Which translates as some form of limitation on immigration. And that, politically, seems a long way off. UK selfbuilders have long been making the journey across the Channel to buy cheap fittings from Leroy Merlin. You can buy a complete close-coupled toilet with seat for less than €50, a price which you easily spend on just the seat in the UK. It may not be the best quality but at that price does it really matter. It’s a toilet, after all. France is particularly good for sanitaryware and tiles but oddly there are some items, like plastic plumbing fittings, which are generally cheaper in the UK so this cross border arbitrage in building materials isn’t all one way. But what about sourcing building materials from further afield? Recently, I spent an afternoon with Lol Berman, who is just completing a new house outside Cambridge. It’s an unusual build in many ways, but one of the remarkable aspects of it is that he purchased many of the materials used on the build from South Africa. South Africa may seem a long way away to go and buy a kitchen but it’s got a lot going for it. They speak English, we have much in common culturally (which is code for saying that you are no more likely to be ripped off there than you are here) and many of the goods on sale there are instantly recognisable to, and therefore usable by, Brits. But perhaps the biggest plus in all this is the exchange rate of 11 rand to the pound. This really throws up some bargains. • Around 8m3 of hardwood kitchen units from Joos Joinery, Cape Town, at a cost of £3,000. Saving probably £5,000. • 200m2 of floor slates at £6/m2 and 200m2 of quarry and ceramic tiles for around £4/m2 from Tiletoria. Saving around £4,000. • 32 Meranti windows, unglazed, and all the internal and external doors and skirting in hardwood. Saving at least £10,000. Contact Cape Dutch Joinery. • Wood burning stove and aluminium flue, plus a steel feature indoor barbeque. Cost £1,000, saving – hard to know as the equivalent isn’t readily available in the UK.. In all, Lol probably saved around £25,000 on his material costs by buying from South Africa. It’s not quite as clear-cut as this because the windows were all custom-made to meet his specifications, which was to create a house with something of the look and feel of the Dutch-influenced South African styles. And £25,000 must be put into context: it’s a large house, with a 400m2 floor area including the basement, and it probably only represents 7 or 8% of his overall build budget. For those with more modest aspirations, the shipping costs may reduce the overall attractiveness of the deals on offer. You can get smaller containers, which cost a little less but they also come with height restrictions, which could reduce your options. I would calculate that the break-even point on this exercise would probably be around £15,000 (UK values). The more you import above this figure, the bigger your savings will be. In order to track down his materials, Lol never went more than 40km from Cape Town to do his shopping: indeed two of his suppliers and the shipper are actually located on Paarden Island, just metres from the dock. The shipping was expertly handled by Ken Holdsworth of Kenco Clearing & Forwarding: the various suppliers delivered their orders to his bonded warehouse and he packed it all into the container. When it arrived in the UK, it was delivered to a site in Suffolk, about 25 miles from Lol’s site, where they were able to leave it in store until such time as they needed the materials on site. If you want to let your fingers do the exploring before you set off on a buying adventure like this, the South African Google puts you straight into the heart of the local economy and pulls up numerous suppliers, though a surprising number of the smaller ones don’t appear to have websites. There is also a useful listings site called www.ananzi.co.za. Payment terms are usually a deposit on placing the order and the balance to be paid when the goods are delivered to the bonded warehouse. The UK customs place VAT on imported goods but a selfbuilder is able to reclaim this in the normal manner if they are undertaking a zero-rated project. There are also import duties placed on the goods but these are pretty small, typically 2% or less. If, like Lol, you have identified large amounts of timber joinery, kitchen units and floor coverings, then it could well be worth your while to explore this option. You need to be know exactly what you require beforehand and, in the case of windows, you need to be aware how the UK specifications vary from the South African ones. 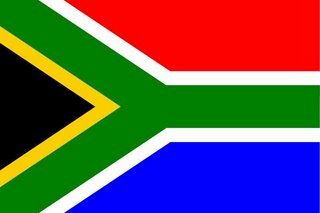 If the worst comes to the worst, you get a week’s holiday in South Africa, which can’t be all bad news. If you want to get a handle on how to get your yet-to-be-built house through the new edition of Part L, the thermal building regs for England & Wales, you could do worse than drop into a website called PlayThe Regs. I found it a bit buggy but then it just may not like Macs. I tried on two browsers, Safari and Explorer, and they didn’t like it at all, but I eventually I got it running in Opera. Playthe Regs permits you to twiddle around with different values for 13 variables and it calculates the effect this twiddling will have on your Dwelling Emission Rate. In effect, it’s a cut down version of the SAP calculations that underpin Part L.
Now what’s all this about a Dwelling Emission Rate (DER)? For the first time, the regs are looking directly at carbon dioxide emissions and the DER is a value based on kilograms of CO2 emitted by each square meter internal floor area per annum. The process now looks like this. Instead of saying you have to have U values of x etc, etc, you start with a model house which meets the old Part L (2002 version). If it was heated by a non-condensing gas-fired boiler (which it probably would have been), it will have had a DER of around 32 kg/m2. What you now have to do is to improve this emission rate by 20%, i.e. 24kg/m2. This 20%-off figure becomes your Target Emission Rate or TER. This is where the variable twiddling comes in. For instance, just by switching to a condensing boiler, the emission rate drops by nearly 4 kg/m2: that’s half the job done in one fell swoop. Total all these together with a condensing boiler and you easily get your DER down below 24kg/m2. That’s considered to be a PASS. There is, however, no guidance within Part L on how you go about improving air tightness or thermal bridging. You can find this in supplementary documents accessed via the Energy Savings Trust website. What’s actually there are two 10-year-old publications emanating from the BRE’s former energy wonk department, BRECSU. It’s all good stuff, but leaning heavily on Good Practice Guides from the 1990s doesn’t seem to be that well thought out. What is planned, in due course, is some super-duper new website with robust details that you will be able to use in your designs. But this lies some time in the future. At the moment, there is just an embarrassing absence of guidance. If you are a curious type, you will use PlayThe Regs to do some twiddlling to see what other results can be achieved and what the effect of each variable might be. I don’t want to spoil your fun but there are one or two anomalies I wish to comment on. Two apparently quite similar heat pump based technologies have widely differing outcomes. The default setting is for the house to have no whole house ventilation system. There are two other options, both whole house systems, one with and one without heat recovery. Both options appear to make emissions worse. Just why MVHR should make matters so much worse isn’t explained. According to these calcs, you would do better to avoid all whole house ventilation systems and build a really leaky structure than to build a near airtight structure with an MVHR air handling unit. Intuitively, this feels crazy. In stark contrast to MVHR, ground source heat pumps sail through the SAP calcs. In fact, installing GSHP gives you a pass even if you set every other variable to score as badly as possible. This is a bizarre outcome. It’s brought about in good part because Part L has fudged the fuel factors and is far kinder to electric heating than it should be, in terms of carbon emissions. Presumably, some pretty effective lobbying went on by the electric heating industry in the run up to the launch of Part L 2006, but it’s had this strange effect of making GSHP a shoe-in if you want to get a house through the regs. It really shouldn’t be, but that is one of the problems of using dumb algorhythms like SAP calculations to decide how a house should be built, instead of employing common sense. Prices quoted for an extension in Edinburgh. Which one would you go for? I was posed this question at the Homebuilding & Renovating show this weekend in Glasgow. David Snell and I had just been dispensing “unmissable” advice on how to run building jobs. One of the pearls to fall from our collective lips was “Never pay upfront.” But the lady from Edinburgh who approached us afterwards with her dilemma explained that the £30,000 quote came with a sting in the tail. She and her husband had been asked to pay a deposit of 50% upfront if she wanted the job done for £30,000. Instinctively, one smells a rat. Why should a builder want a deposit of any kind, let alone 50%? They buy materials on credit, they pay their subcontractors in arrears, if they can’t float a building job for two or three weeks without a cash injection, there must be something fishy going on here. But after asking her a few more questions, a more complex picture of what was happening began to emerge. For starters, the guy offering this very low price was Polish and was newly arrived on our shores. He was offering access to Polish labour at Polish rates and, additionally, he was constantly ferrying building materials across from Poland where they are very much cheaper than the UK. What is more, he has already done jobs successfully for one of her friends and also a cousin: he comes highly recommended. He had also impressed with his Can Do attitude. The other builders had sucked their teeth when they saw that the house to be extended was set up a flight of steps, which will necessitate hand-balling all the materials up and over. The Polish builder hadn’t even mentioned it as a problem. The clinching point was a connection with the Baptist church. Now, I don’t know much about Baptists but I can imagine that, as well as being a religion, it’s also a support network and this Polish builder had become a member of the Baptist congregation that the woman and her husband belong to. It seems his workload is mostly coming from the congregation. Her husband was inclined to take the Polish Baptist builder at his word, to trust him with £15,000 and let him get on with the job. The wife was obviously a bit more cautious by nature and had taken the time to come and see what David and I had to say about the matter. In the end, I came around to her husband’s point of view. Ultimately, there are no hard and fast rules about how to select a builder. There are guidelines-a-plenty but the final decision comes down to your own judgement and that’s all about who you choose to put your trust in. The many Polish builders currently setting up shop in the UK seem to enjoy an enviable reputation for honesty and hard work, to say nothing of dramatically undercutting the prices of the locals. Whether this will last, only time will tell. Doubtless there will be a few Polish rip-off merchants and quite a few useless Polish builders, just as there are with all ethnic groups in all walks of life. But at the moment, the nation’s homebuilders and extenders seem to be in thrall with Poland and all the fit young builders they are currently exporting to us. Last week I got a call from an anxious builder who had just completed the purchase of a derelict barn in Sussex. He had read in a previous edition of my book that there is a substantial financial risk involved in owning an unconverted barn with a valuable planning consent attached to it. The planning consent is only granted because the barn is deemed to be worth preserving; should the barn get flattened before the conversion takes place, then the planning permission would vanish into thin air. As unconverted barns in the south of England currently go for anywhere between £250k and £500k, that’s a lot of money to be risking. My anxious builder wanted to know where he could insure the risk. I have done a little bit of phoning around and it’s a difficult but not impossible risk to insure. Most people just didn’t want to know but currently SelfBuild Zone said they could do something, though we didn’t get around to discussing pricing. The week before I spoke with another guy to who had been almost bankrupted by an event like this. He bought a barn for conversion in Buckinghamshire and got into trouble when his builder took too much of it down. He knew the risk involved and so, supposedly, did his builder, but the builder miscalculated what he could get away with and a disgruntled neighbour shopped him to the local planning department who raced to the scene and declared the planning consent void. He had borrowed £250k against the unconverted barn and overnight it was rendered worthless. The planners were adamant that re-instatement was not a possibility. This guy was in deep trouble. What happened is that he subsequently applied to build a new house on the site; it took three years of negotiations and lots of lobbying. The planners were implacably opposed to a new house on unzoned land but the councillors on the planning committee, who have the final say, were so moved by his story and his desperate plight that they accepted his application. Common Sense 0 Compassion 1. This set me thinking. The whole situation with barn conversions is quite ridiculous. They are in effect granted conditional planning permission, conditional on the nice old structure being preserved in a new format. But if logic were to apply here, even converted barns would be uninsurable because their very existence depends on preserving the old bits and, if the whole building were to burn down, there would be no case for re-instatement. This really is Alice in Wonderland stuff. Presumably, local councils are encouraged to be pragmatic about it. At least, one hopes so. But it’s worth bearing in mind that the only reason we convert barns is because there is a dearth of nice rural building plots for sale and that is also the reason that these unconverted barns are so damned expensive to buy. What’s this chart all about? It’s a potted history of our climate over the past 400,000 years. I got it off Wikipedia. The data is drawn from the Vostok camp in Antarctica where they have drilled down into the 4,000 metre-depth ice field and have been able to determine CO2 levels, methane levels and temperature throughout the period through which this ice field has been accumulating. It’s a fairly recent project and the data now forms part of our key understanding of how the climate has been shaping up. The present time is on the left hand side. As you move right, you go back in time. The right hand edge is 400,000 years ago. • The blue line on top indicates the amount of CO2. • The red line is the temperature. • The green line is methane. • The jagged brown line is oxygen. • The smooth brown curves right at the bottom is nothing to do with the data found in the ice cores but is someone trying to explain the variations in that data with reference to the Earth’s orbiting patterns, known as the Milankovitch cylces. If you want to know more about this, then head off into Wikipedia. It’s only a hypothesis and, judging by the best-fit they have managed to produce here, not a particularly convincing one! What we are looking at here are four long ice ages broken up by four all-too-brief warm periods, known as interglacials, represented by the peaks. Each cycle seems to last about 100,000 years, consisting of around 10,000 years rapid warming, followed by a 90,000 year cooling-off period. The temperature variations are quite large. The coldest part of the ice age is around 10°C cooler than the warmest part of the intergalcials. We are of course in an interglacial period right now. In fact, it’s a remarkably long interglacial. The previous three all had very sharp peaks, suggesting a really warm period lasting no more than a couple of millennia. We are about 10,000 years past the end of the last ice age, which makes this easily the longest warm period during this 400,000 year epoch. I don’t think this means the next ice age is imminent: rather it suggests that something different is happening this time around. Of course, it is tempting to speculate that the flowering of human civilisation required an extra long interglacial. We perhaps needed 10,000 ice-free years to invent the iPod and to introduce congestion charging in London. It seems unlikely that we humans have brought about this lengthy interglacial by our own actions. For its first 5,000 years, we were fumbling around in the Stone Ages and would surely have had zero impact on the environment. But as we began to clear forests and start farming, it is conceivable that our presence began to have an effect. But surely nothing like the effect we are now having since we worked out how to keep ourselves warm and well-lit and to propel ourselves around at great speed by burning fossil fuels. Is it possible that we could be about to extend this interglacial yet further by significantly altering the atmosphere? That is the big question. Throughout this 400,000 year period, the chart shows that CO2 levels have bobbled about between 200 and 280 ppm (parts per million). However, in the past 200 years, since we started burning fossil fuels in large quantities, the CO2 levels have risen very dramatically, from around 280 up to nearly 400 ppm, and they continue to rise at around 1% per annum. That really is off the top of the scale. Fortunately, global temperatures — the red line on the chart — haven’t kept up in tandem, otherwise we’d have seen an increase of 10°C by now. But worryingly, sometime in the 1960s, global temperatures did start to rise and the rate of increase is starting to rise as well. To date, the temperature rise is still quite modest, at around 0.7°C above the long-term average, but the trend is becoming more and more noticeable. The problem here is that there is no way of determining that the one factor — increasing CO2 levels — is causing the other — increasing temperatures. There is data coming in from all over the world and most of it confirms that the world is heating up. There is the greenhouse theory which provides a neat explanation of why this should be happening. But there is no way of proving it. The increasing temperature trend is still comparatively new and comparatively modest and we simply don’t know enough to be able to predict where it is heading in the future. All we can do is keep collecting data: the warmer the Earth gets, the more convincing the theory of global warming becomes. But anyone can see that at the moment there are still too many unknowns to sweep away all doubts about the theory. These doubts shouldn’t be underestimated. I want to show that it is OK to have doubts and to express them publicly without fear of being ridiculed. Having doubts doesn’t make you a ‘global warming denier.’ At least, I hope it doesn’t, otherwise I will be in trouble. There are lots of possible reasons why we may have overestimated the effect of releasing CO2 into the atmosphere. One that stands out is the miniscule quantity of CO2 up in the atmosphere even after we have been burning fossil fuels for two centuries. The very reason climatologists refer to CO2 levels in Parts Per Million is because, if they express them as a percentage, it’s such a small figure that they risk getting decimal point errors. 400 ppm is in fact 0.04%. Put another way, oxygen, which makes up just over 20% of the Earth’s atmosphere, would come in at 209,000 ppm. CO2 really is just a tiny trace element in the atmosphere and even if we burned every available bit of fossil fuel we have, it’s unlikely that we would nudge CO2 levels much above 0.1% of the total. So it could well be that the effect of increasing CO2 levels could be very muted indeed and that we shouldn’t get too worried about it. On the other hand, the changes we are bringing to the atmosphere could bring about some very large and unpredictable alterations to the global climate. That of course is the fear. We still probably have time to change our habits but it’s hard to see this happening without a fair bit more proof that we are cooking ourselves. In summary, I think it is quite possible — sensible even — to be both very worried about what we may be doing to the climate and yet to question the data coming in. In other words, to maintain a healthy scepticism.